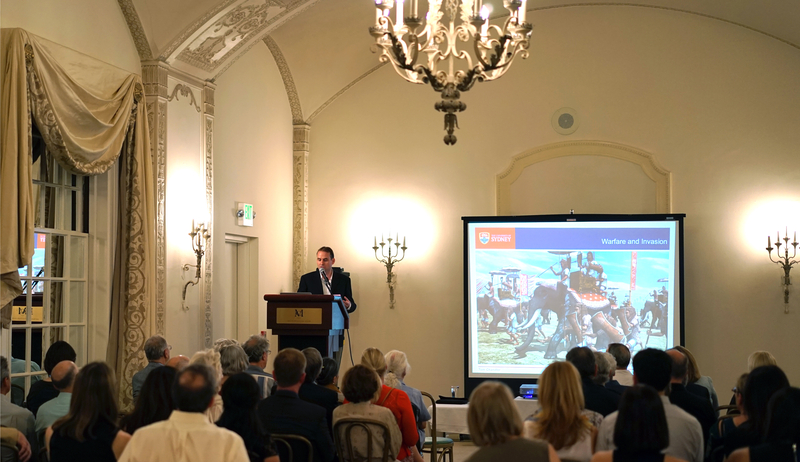 Last night we had a lovely Global Heritage Fund event at the Metropolitan Club featuring Dr. Damian Evans of the University of Sydney, who made headlines last year for discovering a new ancient Khmer city at Phnom Kulen northeast of Angkor. LIDAR, or more specifically airborne LIDAR, is a laser-scanning technique that manages to provide accurate maps of the surface topography of a place despite layers of vegetation and trees. It allows you to see landforms that may be hidden to the naked eye. Like all good modern technologies, it does what used to be done a whole lot faster. 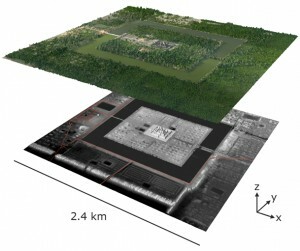 Evans described the past work of a French archaeologist Jacques Gaucher who cut through the vegetation over many years at Angkor Thom to find the surface indications of settlement within the temple complex. LIDAR accomplished the same thing in a few hours, and also demonstrated that the settlement patterns extended well beyond the city walls, a fact Gaucher had not investigated. The technology is theoretically simple, as we learned in the Q & A. Basically it sends millions of laser points down into the jungle and they bounce back when they hit something. The beauty part is the (very expensive) software that reads the data and then strips away the 95% of it that hit trees and bushes and surface objects and just leaves the layer showing the actual surface. 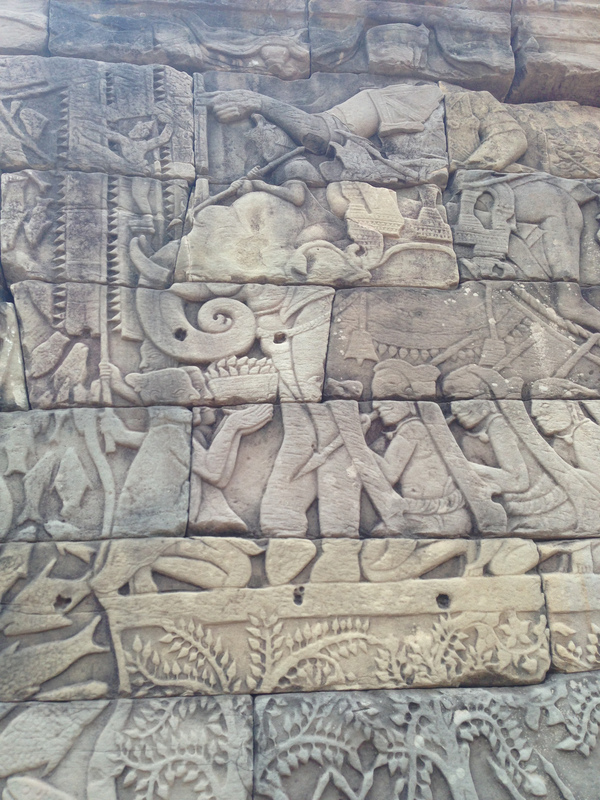 All we have left in Angkor and related sites are the stone temples, the homes of the gods. 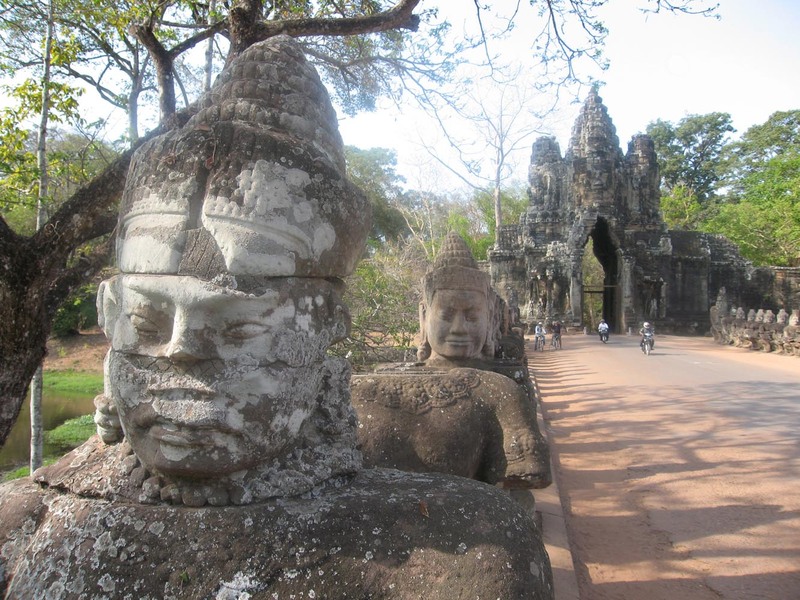 Even the god-kings like Suryavarman II (Angkor Wat) and Jayavarman VII (Bayon) lived in wooden houses along with as many as a million people in what Dr. Evans noted was the LARGEST metropolitan complex in all human history before the Industrial Revolution. LIDAR reveals the remnants of where the lost wooden structures stood, and perhaps more importantly, the hydraulic systems that made this massive conurbation possible. 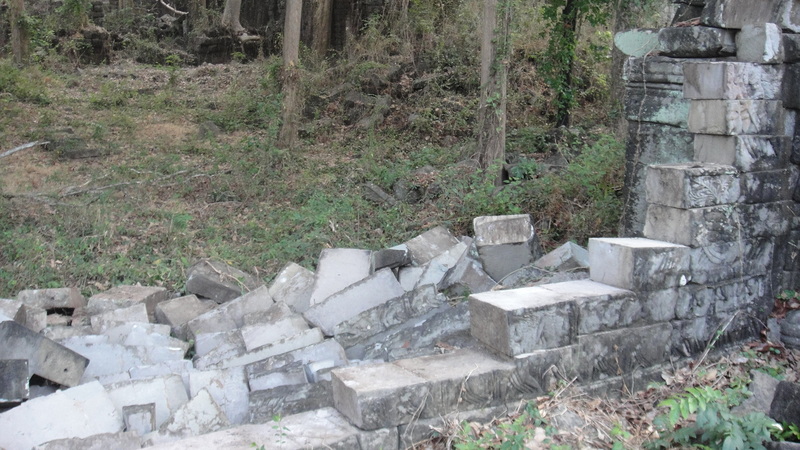 It is the small holding pools next to mounds of settlement detrita that make up the largest part of these scans and the best evidence for the everyday, non-durable society that made those great stone temples. So the technology is more than a new way of doing things because it suggests we study the whole of a society and not just its stone artifacts. 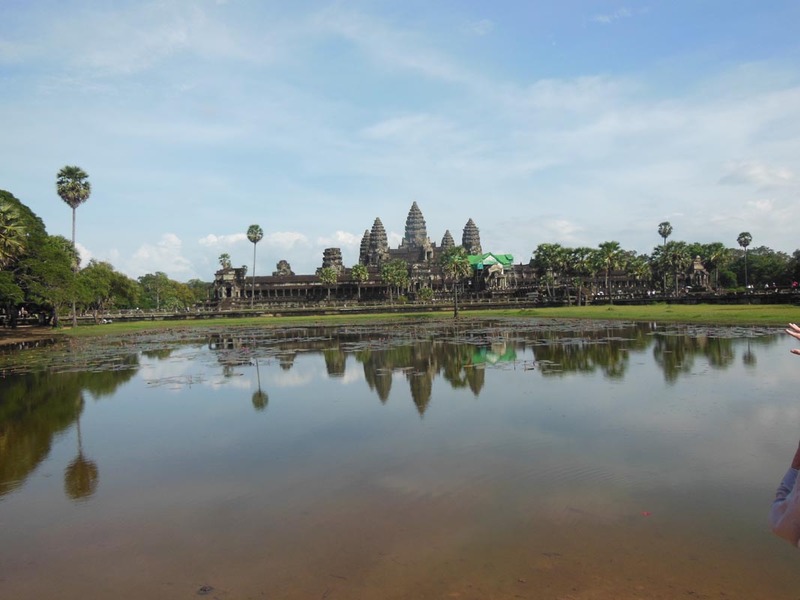 My blog two years ago about visiting Machu Picchu and Angkor Wat in a short period of time, revealed how I was struck by the hydrology of both places. 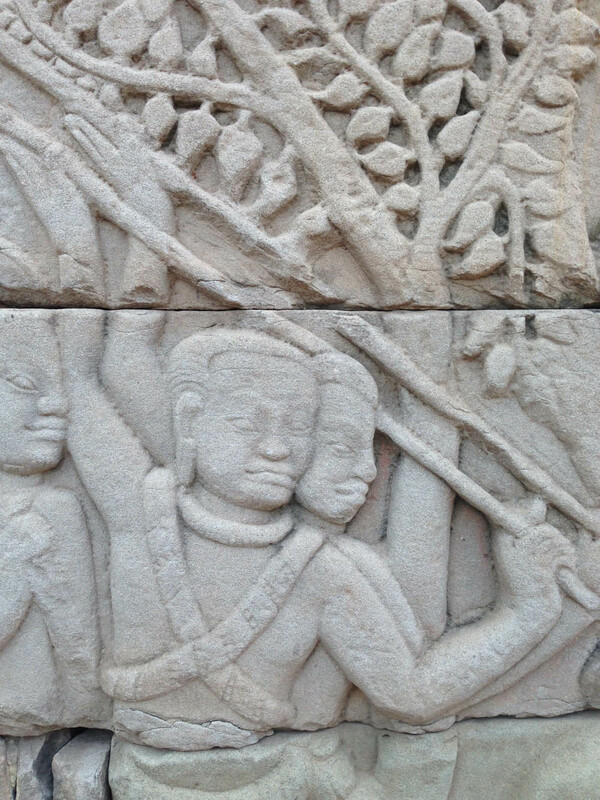 More than their architecture, the engineering that made food production and thus population (and thus architecture and art) possible was what struck me in both the Inka and Khmer contexts. Not only does LIDAR do in hours from the air what used to take months on the ground with a machete, but it suggests new ways of looking at heritage and new ways of understanding it. 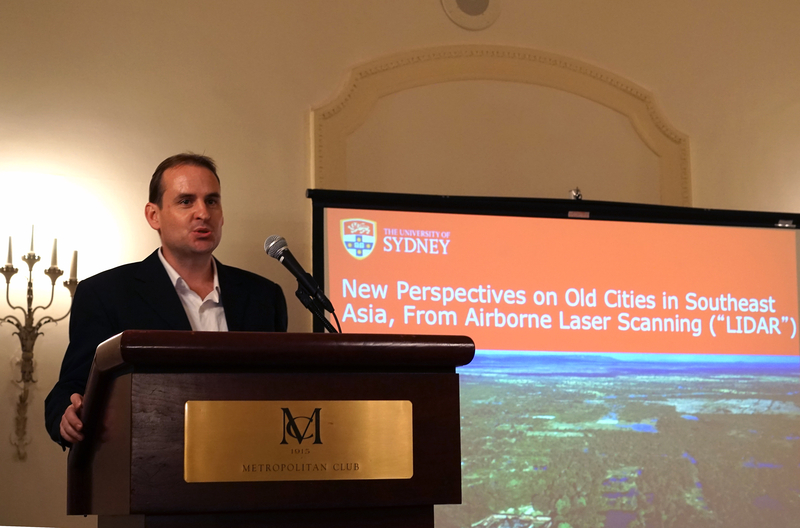 When my friend and colleague Simon Warrack showed me Damian Evans’ LIDAR scans of Angkor last year in New York I was immediately blown away: I saw intricate, deliberate patterns in places I had been where I had seen NOTHING. LIDAR captures all the lost palimpsests and creates new, robust databases and new areas of inquiry. Dr. Evans concluded by discussing the Global Heritage Fund site at Banteay Chhmar, where we have worked more than six years, restoring an amazing bas-relief wall describing the exploits of Jayavarman VII, a face tower reminiscent of the Bayon, and crafting a plan for the complex while working with the community tourism bureau. I concluded our event last night with a call for action. 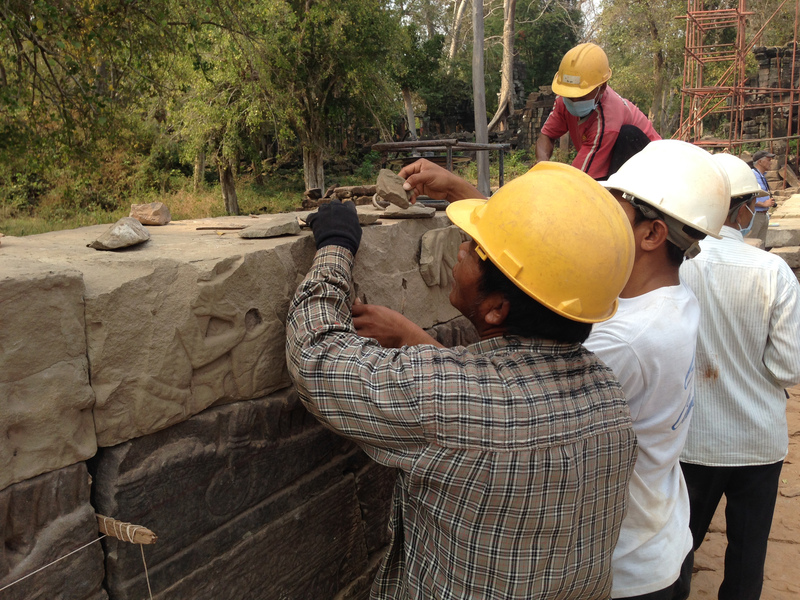 Last month during a storm, another section of bas-relief wall at Banteay Chhmar collapsed, leaving the stones vulnerable to theft and the wall vulnerable to further collapse. 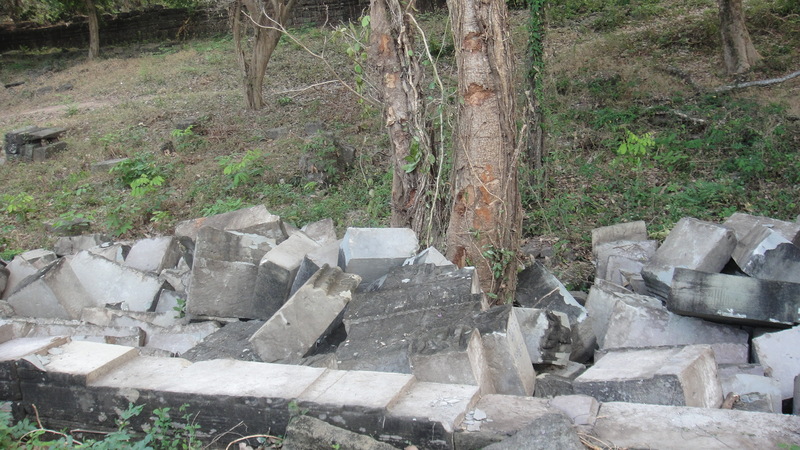 Global Heritage Fund is seeking your support to help restore this wall, so please donate at www.globalheritagefund.org. 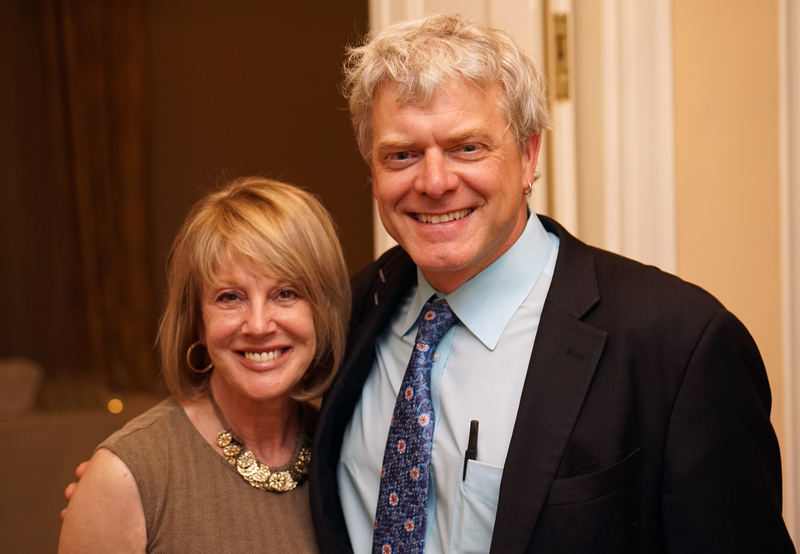 Many thanks to Dr. Damian Evans, Joyce Clark and all GHF members who attended the event! 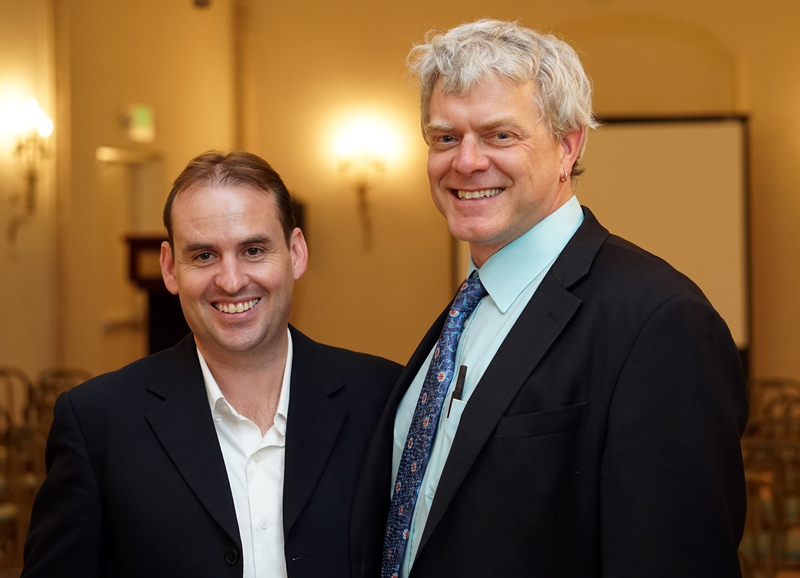 More Bob Stanton photos below of Dr. Evans with me and our lovely host Joyce Clark and myself. This entry was posted on May 2, 2014 at 7:52 pm and is filed under Global Heritage, Interpretation, technology. You can follow any responses to this entry through the RSS 2.0 feed. You can leave a response, or trackback from your own site.